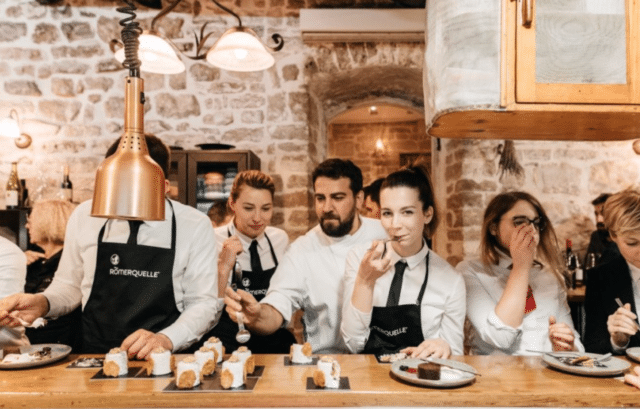 International gastronomy & hospitality congress in Šibenik, Croatia will take place from 18th to 19th March 2019. The idea behind Chefs’ Stage, which will take place from 18thto 19thMarch, is to present Croatian and regional cuisine to international gastronomic scene. This event presents Croatian and regional cuisine to the international gastronomy scene. During the Congress, industry leaders come together to foster creativity and share their knowledge and experience through master classes, panel discussions, a gala dinner, a grand tasting lunch, and guest speaker presentations. In addition to programmes at the Convention Centre Šibenik, other activities take place around Šibenik and the region, including St Michael’s and Barone fortresses, the Bibich winery, the MY Casablanca, Krka National Park, and Pelegrini. The event creates a gastronomic platform for a genuine exchange of knowledge and experience while critically assessing current issues in gastronomy, hospitality, and tourism. It brings together all participants in gastronomy & hospitality: chefs, restaurateurs, hoteliers, industry professionals, producers, suppliers, restaurant guests, journalists, opinion makers, food lovers.